Ice skating on black ice in Switzerland, a rainbow appears in Gaza and fashion week auditions are held in India. 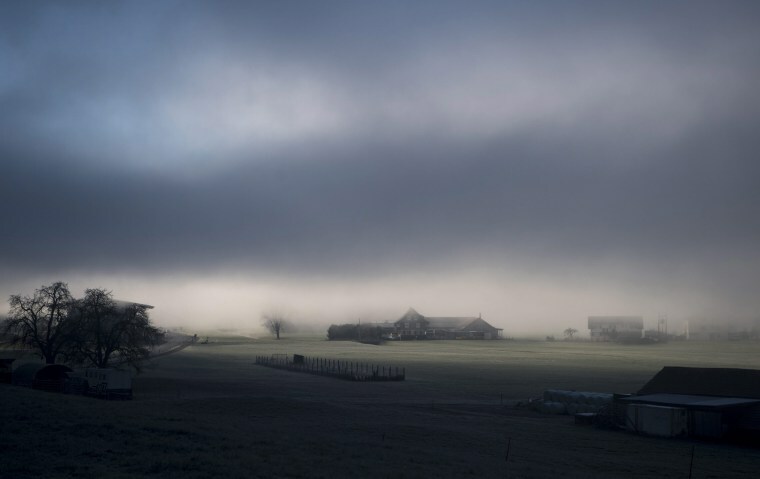 A fog blankets houses in Ennetmoos, Switzerland, December 14, 2016. 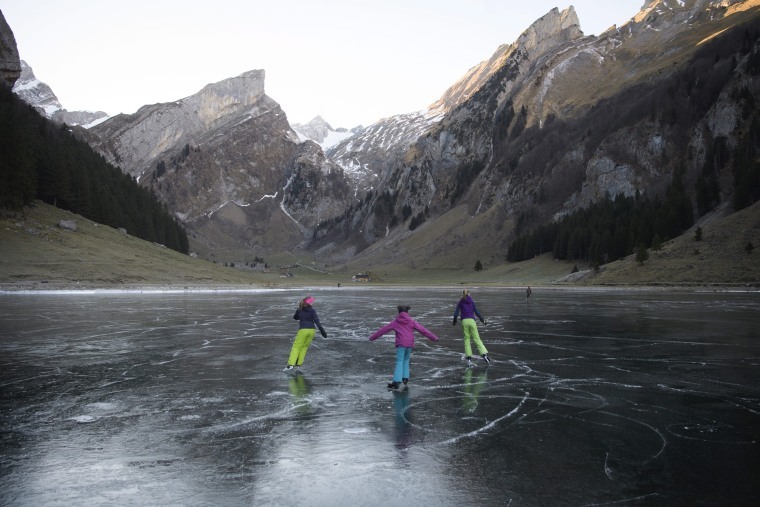 People enjoy ice skating on the black ice of the Seealpsee, in Schwende, canton of Appenzell Innerrhoden, Switzerland. 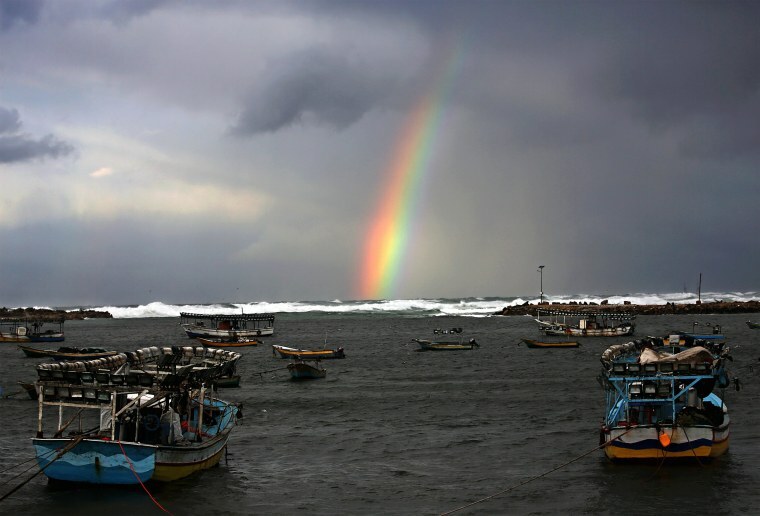 A rainbow seen from the Gaza port over Gaza City, during a rainstorm the Gaza Strip. 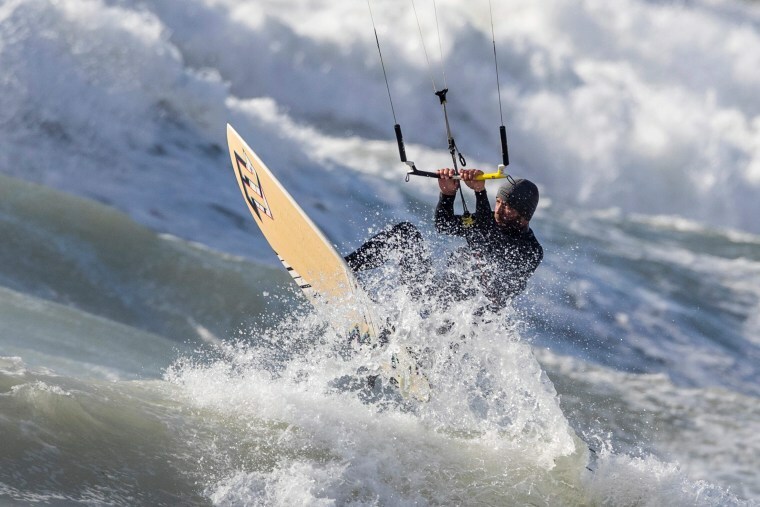 An Israeli man kitesurfs in the coastal city of Netanya, north of Tel Aviv, as a winter weather front hits Israel. 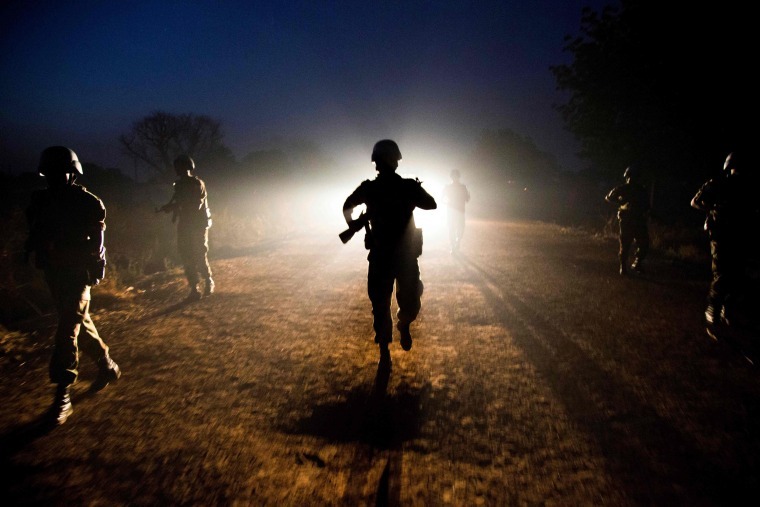 Peacekeeper troops from Ethiopia and deployed in the United Nations Interim Security Force for Abyei (UNISFA) patrol at night in Abyei town, Abyei state. The Abyei Administrative Area is a disputed territory between Sudan and South Sudan with longstanding inter-communal tensions between the Ngok-Dinka ethnic majority and the pastoral Misseriya population, who migrate through the area seasonally from the north. 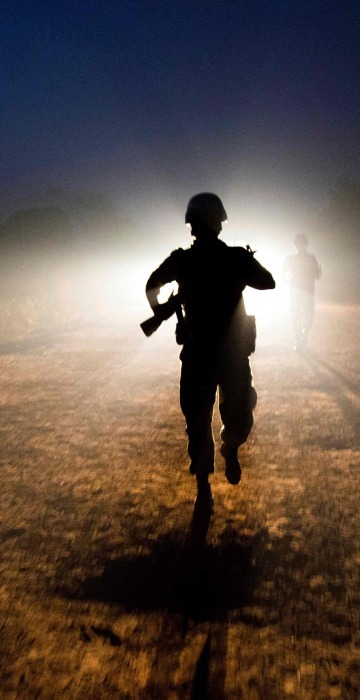 An attack by Sudan forces on Abyei in May 2011 displaced the majority of the approximately 105,000 Ngok-Dinka people to areas south of the River Kiir, which became overcrowded and created a huge competition over natural resources. 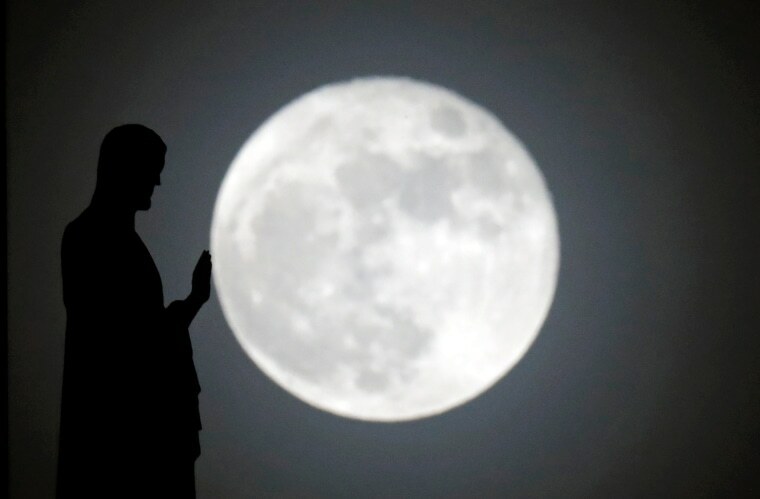 A statue on the roof of the Notre-Dame cathedral is silhouetted in front of a supermoon in Paris. 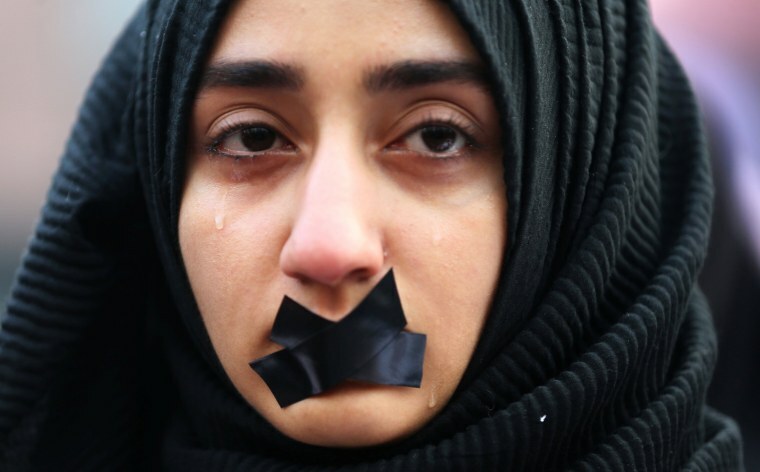 A Turkish student in Sarajevo cries during a protest to show solidarity with trapped citizens of Aleppo, Syria. Models wait for their turn at an audition for the upcoming Lakme Fashion Week (LFW) Summer/Resort 2017 in Mumbai, India. Around 83 national and international models participated in the audition from which five were selected. The LFW Summer/Resort 2017 is scheduled to start Feb. 1, 2017. 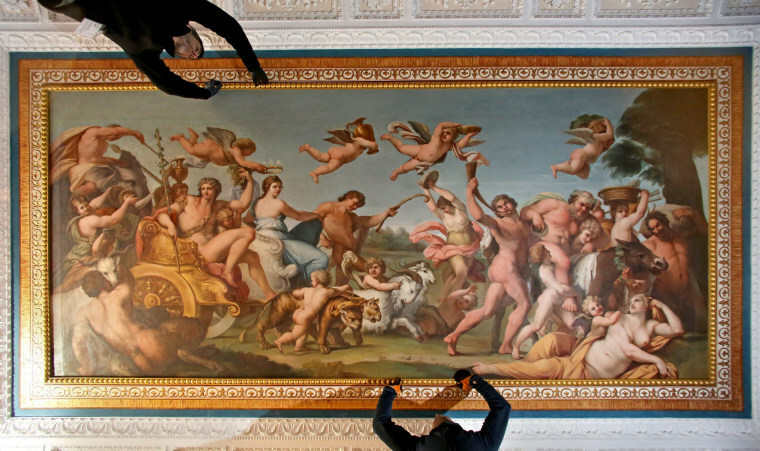 Conservators mount the freshly restored ceiling fresco from the 17th Century in the ballroom of the Palace Woerlitz in Woerlitz, Germany. At over 100 square feet, the large painting depicts the triumph of the God of Wine Bacchus and was taken down for restoration in May of this year. The Palace Woerlitz has been under restoration since 2000.